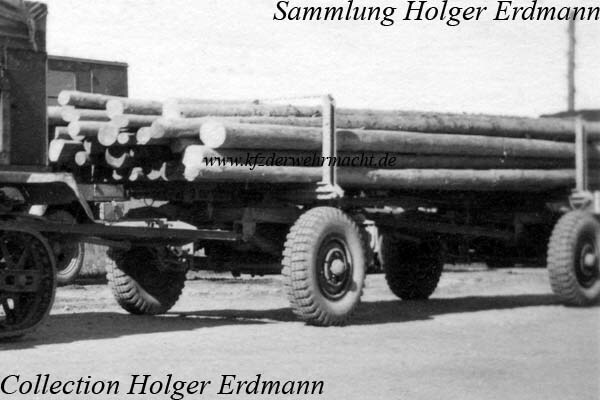 Wooden masts for the telephone line building were transported with the Anhänger (1 achs.) für Fernsprechbau (Sd. Ah. 21). It consisted of two identical trailers which were coupled together. This Sd. Ah. 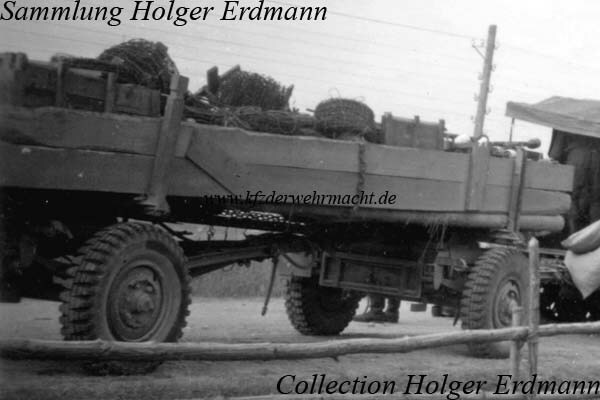 21 was used as transportation trailer by adding square planks as platform and sides. The photo was made on 26th October 1943 while the unit marched off Sluzk.